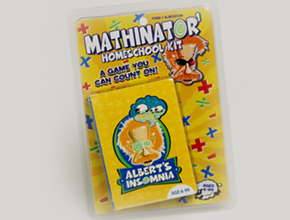 Albert’s Mathinator1 is the perfect Homeschool Kit. 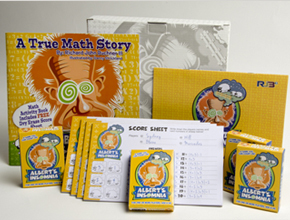 This kit has a score pad on the back of the back of the blister so kids can turn in their answers when they are finished $14.99 each (plus shipping and handling). *Call for details & pricing. Albert’s “Show Your Work” score pads. 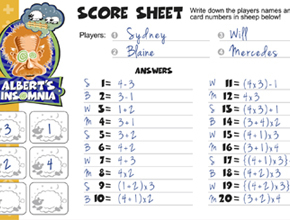 Players write in the hand in play, their names and answers. 25 pages front and back. 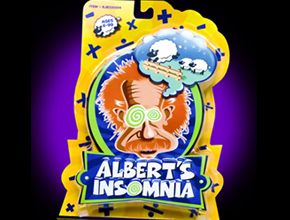 Educators Love these pads! Kids turn in their work when they are finished. $4.59 each (plus shipping and handling). 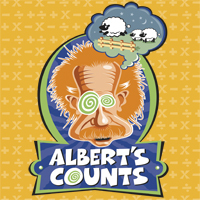 “Albert Counts!” = Albert’s Insomnia for your apple products! Download it on your iPhone or iPad and see how far you can get on the Free Challenge Ladder! Full access to all features and games only $2.99. 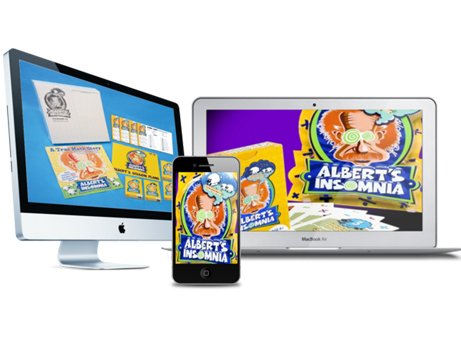 ERP an On Line Electronic Resource Program for grades k-8 Arithmetic Fun, a Formative Assessment tool your entire school, county or state. 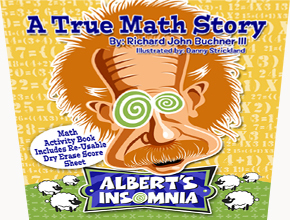 This ERP will also allow you to conduct and participate math bees that will be springing up all over very soon!